Now available from the Bonnaroo, Vegoose and Live Bonnaroo online stores: eGift Cards! 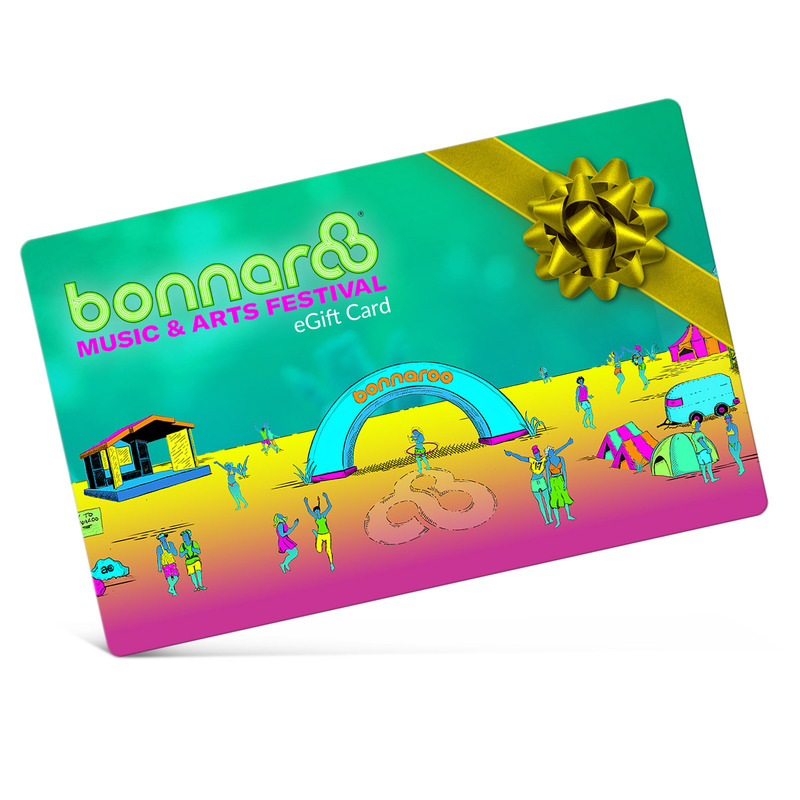 Let your friends/family choose their own gift by giving them an eGift Card for cool merchandise or live recordings from the Bonnaroo Music Festival. Conveniently, it’s all done via email. You can choose from one of four dollar amounts: $25, $50, $75, or $100. And, you can choose WHEN someone will receive the certificate. The gift certificate recipient can choose to redeem the gift certificate in any of the 3 stores. You purchase the gift certificate and provide the email address of the recipient. You will be asked to pick a date when you want the recipient to receive the gift certificate via email. Forgot someone’s birthday? You can purchase the gift certificate today and they’ll receive it today. You can also include a personalized message. For instance, you’re Christmas shopping online for a friend. You go to the Bonnaroo store today and purchase a $50 gift certificate for your friend. You include a brief note and choose December 24th as the date you want your friend notified about the gift. On that date your friend will receive an email with the gift certificate information and your personalized message. Your friend can choose to redeem the gift certificate with Bonnaroo merch, Vegoose merch, or Live Bonnaroo shows from the Festival. It’s easy. Fast. Convenient.